Would you like to win a copy of The Stratagem by prime Illuminati suspect Aleister Crowley. 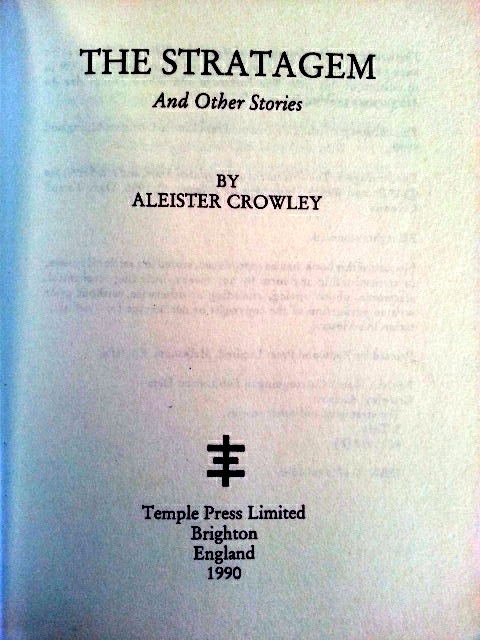 We have a highly collectable copy of Aleister Crowley’s The Stratagem on the Temple Press imprint to give away for one lucky winner. All you need to do to be in with a chance of winning is subscribe to our mailing list by clicking on the link below and entering your email address.